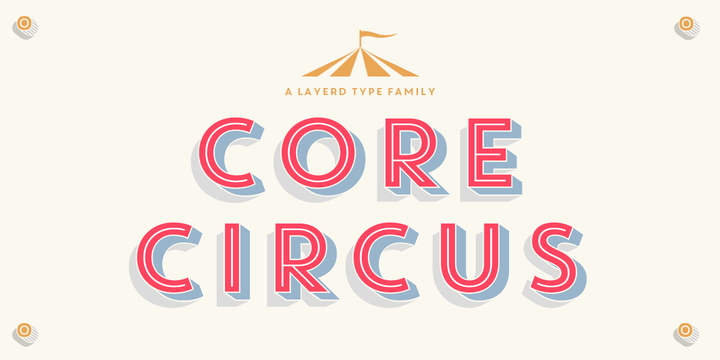 Core Circus is a 2D and 3D effects layered font created by Hyun-Seung Lee, together with Dae-Hoon Hahm and Min-Joo Ham and published by S-Core. With its special shape effects, Core Circus provides limitless combinations making it really nice for book titles, headlines, logos and modern artworks. Love it! A font description published on Monday, July 22nd, 2013 in Fonts, S-Core by Andrei that has 8,806 views.